An annual event organised by the Ferndown Rotary Club, Fete on the Field is a day of summer fun dedicated to raising funds for charity. Looking to raise the profile and appeal of the event, Mondo was called upon to create new branding and a website capable of communication not just information on fun events, entertainment and location but also to work as means of would-be stall holders to register interest and apply for space. 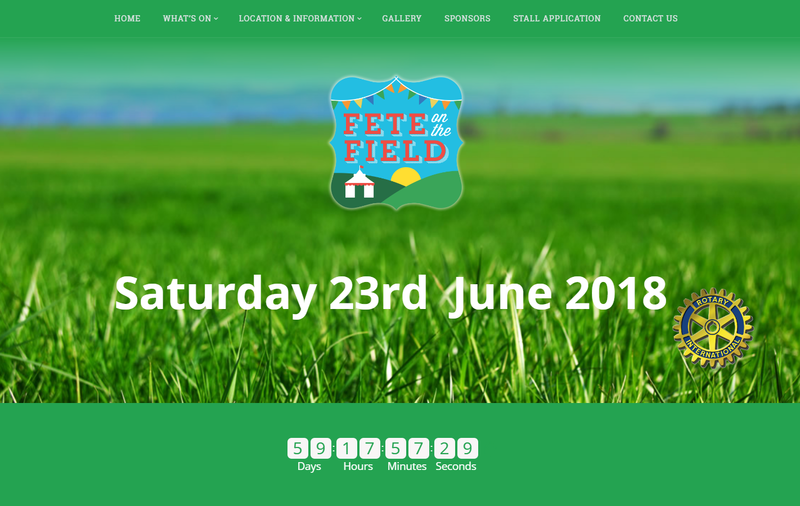 We created a self-contained logo that can be used in any promotional environment which instantly evokes all the fun of the fete – quintessentially English with the green grass and blue skies of wide open spaces, good time bunting and a marquee that could be home to tempting food, family entertainment or even curious crafts! 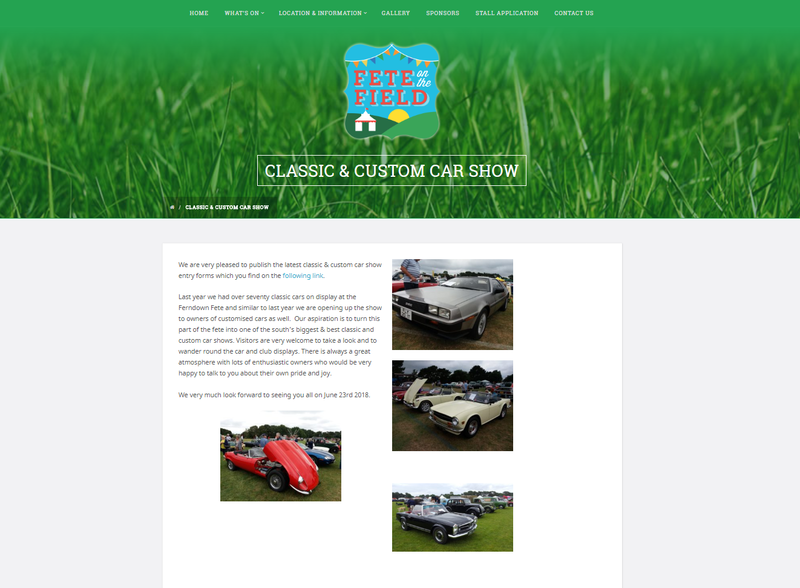 With its primary role being of attracting visitors to the fete, the website clearly had to be visually appealing – complementing all the qualities of the new brand while clearly communicating the large amount of information it needs to hold. 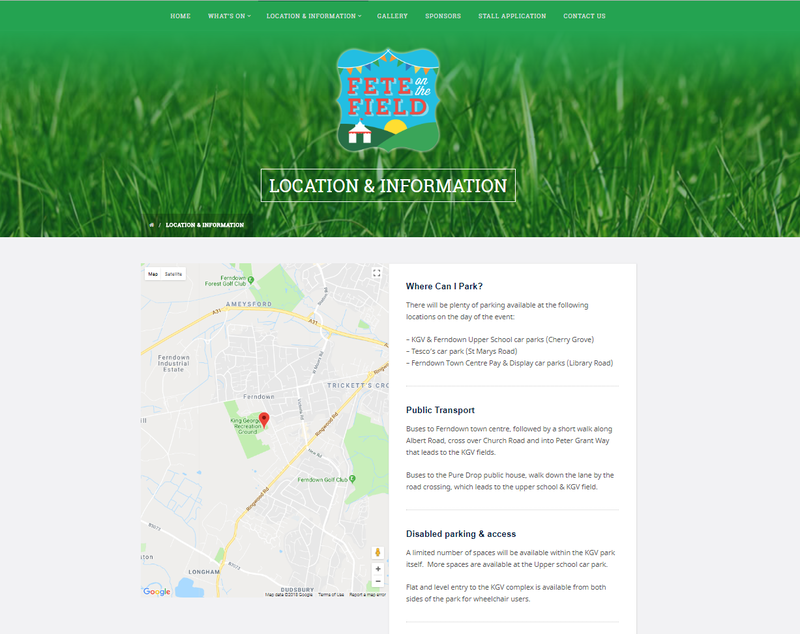 As with all websites Mondo builds, we worked hard to create a site which presents everything in a way which is both appealing and easy to navigate – and, despite the great looking, highly functional result, it didn’t cost the earth – perfect for a fundraising event like Fete on the Field. In addition, this WordPress site features an easy-to-use Content Management System (CMS) meaning that, after just a little instruction from ourselves, the client is able to make any additions to text and images that ensure the very latest information on news on the upcoming event.